Parental care and good manners for kids is essential for making a better society and a healthy nation. 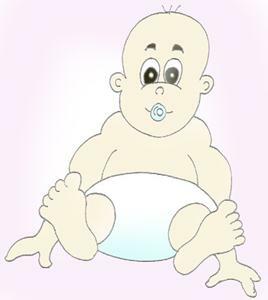 After birth a baby starts to get its initial education from its family members. Teaching good manners and help them to learn polite and decent behavior is responsibility of parents and other family members. A better family environment grows up a decent kid and a bad family environment grows up a kid with indecent behavior. 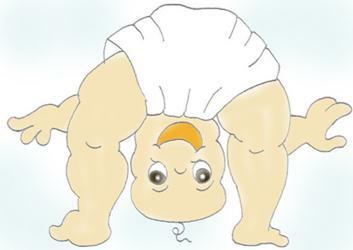 Being a naughty baby is not bad but being indecent can be a serious issue for parents. The first step of a baby towards learning starts from his mother. Mother's lap is the whole world for a born baby. Whatever mother eats, sees, drinks, bears, feels and reacts affect her baby too. These emotions flow to baby's body through breast feeding. This is the reason why it is always said that a mother should remain in a pleasant mood while feeding her baby. 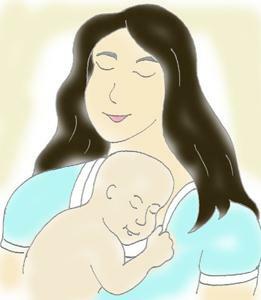 Besides this breast feeding always advised for better health and mental growth of a newly born baby. 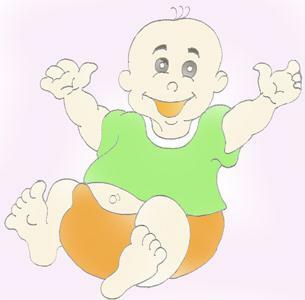 Researches said that smile over the faces of family member makes a kid healthy and intelligent. As soon as a child starts to understand its surroundings, the family atmosphere affects his mentality. Family arguments, conflicts, loud volumes put bad affect on baby's mind, where slow music, sweet voices of family members and peaceful environment put positive affects over kid. A Kid should be taught to respect his elders and to spend time with his/her grandparents and other senior family members too. Meaningful stories with good moral positively affect the kid's behavior. Stories should be meaningful, joyful, courageous, spiritual and up to the mental level of the kid. Parents should keep a relation of best friends with their children. Parents should always listen problems of their kids with paying full attention and provide complete support for their genuine problems and must spend some time with them. This way kids will not hesitate to discuss their feelings and problems with parents. Mutual understanding between parents and kids is essential to expedite better relations. Especially in the case of girls, mother should take more responsibility and care of them and keep a friendly behavior with her daughter. A kid spends only few hours in school and most of the time the kid remains with his parents and neighbors. So it's the duty of parents to keep an eye over their kids so that they may not come in contact with a bad company. A bad company can be its friend circle or surrounding environment like neighbor or relatives. They must be isolated from such environment. Wrong arguments should be restricted for kids. Help them to learn the difference between right and wrong. Some time parents allow their kids with more pocket money which can rather put them in bad habits. Pocket money should be limited and their requirement should be fulfilled up to a limit otherwise their mind could divert to other activities rather than their study. Parents should be strict incase kids make a mistake intentionally or the kid seems to be misbehaving and indulging bad habits. The internal capabilities of kids should be judged by parents and they should always be encouraged to increase their capabilities. As how well it is said that "A baby is a vase not to be filled, but a fire to be lit". 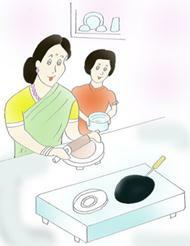 Teaching etiquette to kids in their home is the responsibility of their parents. They should be taught how to react to a guest, how to handle goods, how to maintain their study and drawing room etc. They should know how to keep their things in better conditions and at proper place. They should know what should they do and what not to do. They should be told to act in manner that must not disturb others. But restrictions over kids should be up to such a limit that their enthusiasm of childhood may not be disturbed. 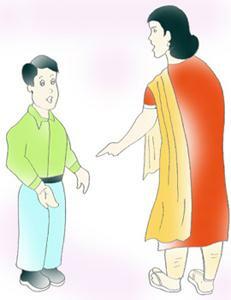 If parent scold a kid for their misbehavior than parent should also love and award them for their good acts. Always knock the door and wait for permission for before enter someone's room. Always take permission of owner to borrow something. Make sure to return borrowed thing in same or better condition. Restrain your self from others private letters, diaries and documents. Your reading room is your responsibility. Always keep it clean. Keep your surrounding clean and put waste in dustbin only. Never harm plant and trees. Play only indoor games in home. Never discuss your family matters with outsiders. Put-off slippers out side to prayer premises in home. Never write on walls of your home. Help your parents in their works. Take blessings of your parents before going for good work. Keep silence when some one is taking rest. Play low or no music while someone reading, praying or concentrating. Help younger and grand parents. Spend your time with elders and grand parents too. Always treat them well and ask for refreshment. Always sit in proper posture. Always flush toilet after use. Always keep your things at their proper place after use in bathroom, reading room etc.